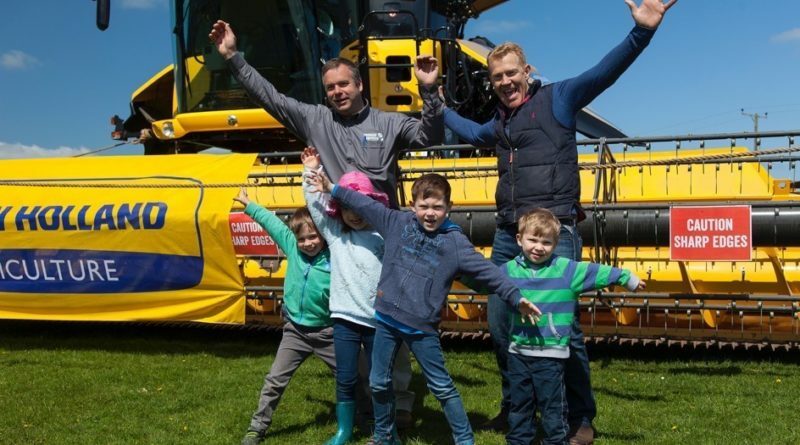 The Cotswold Farm Park, run by BBC 1 Countryfile presenter Adam Henson, ran a very successful first ‘Meet the Machinery’ event last weekend, in their venue near to Stow-on-the-Wold. 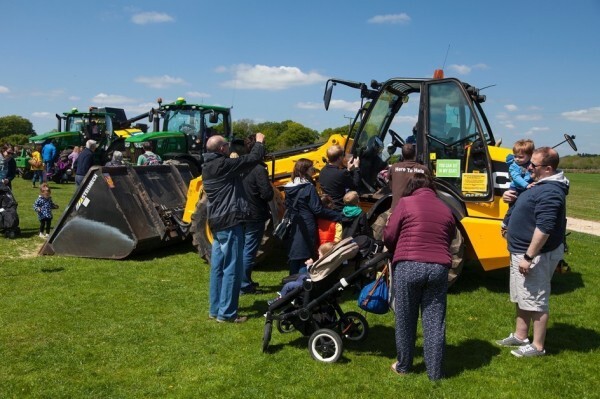 For the first time the Cotswold Farm Park let visitors get up close to their biggest pieces of farm equipment and most impressive gadgets, including two John Deere tractors, a New Holland Combine Harvester, a Horsch PT270 Sprayer, a JCB Pivot Steer Forklift along with accessories such as rollers and drilling units. This active display allowed visitors find out more how they work as well as being able to sit in the driver’s seat of some. Each afternoon some of the equipment went on a parade around the park with some of the drawing completion winners, which included 6 year old Robin O’Keeffe and 13 year old Daniel Lee. There was also a place for the onsite quiz winner 6 year old Joseph Williams for a trip in the Polaris farm vehicle. This was a free addition to the normal farm park active demonstrations of sheep shearing and viewing of newly born piglets (which the young children definitely were very excited about) and tractor driving. There was also a large number or rare breeds on view for the public. 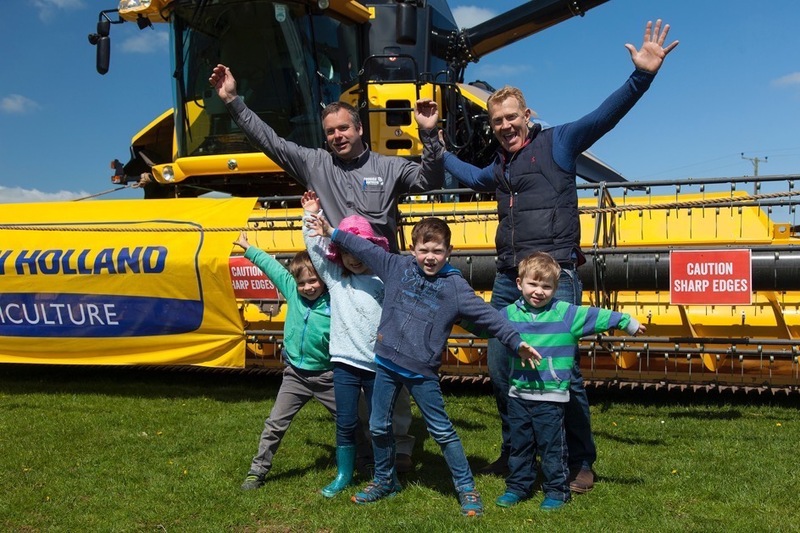 As Adam Henson commented “This is the first time we have hosted this event and we are really pleased with the number of visitors that have attended, as well as seeing the joy in the children’s faces”. For the full image sets please review the Image Gallery below, and all images can be bought in a variety of sizes/types. Chris Roberts is an experienced Media, PR, Communications and imaging professional, based in South Warwickshire/North Cotswolds. He specialises in communications, social media, PR and imaging working with both commercial clients and local groups, working with them to maximise their publicity and visibility.He comes with extensive experience in the corporate, public sector and not for profit areas, where he managing their social media and communications campaigns and channels. He spent 10 years (2004 – 2014) working as a UK Motor racing media professional, working with clients for their social media, press releases and newspaper articles, which were supplied with my images. I was fully accredited in the UK for championships such as Dunlop MSA British Touring Car Championship and British F3/GT championships. I also worked in Europe on the FIA GT championships at Spa Francorchamps (Belgium) and Monza (Italy).